Mourning ribbon for services in honor of Lincoln in Philadelphia. 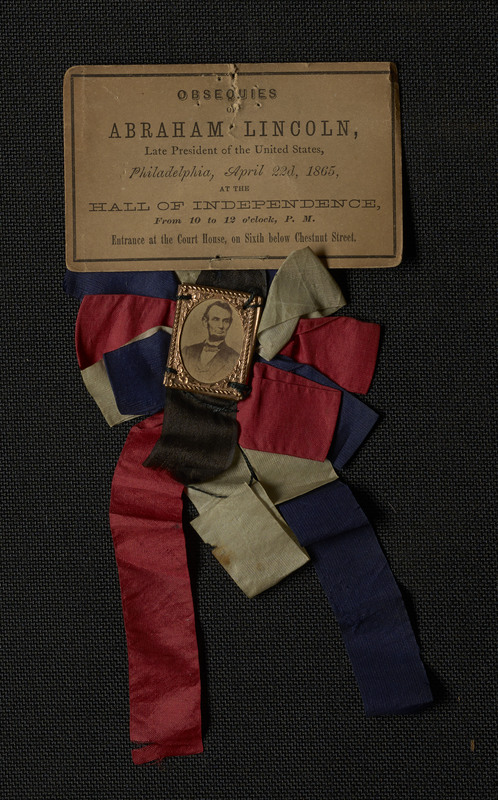 Red, blue, white, and black cloth ribbon with framed photographic portrait of Lincoln at center and cared attached above reading: "Obsequies of Abraham Lincoln, Late President of the United States, Philadelphia, April 22nd 1865, at the Hall of Independence from 10 to 12 o'clock P.M. Entrance at the Court House, on Sixth below Chestnut Street.